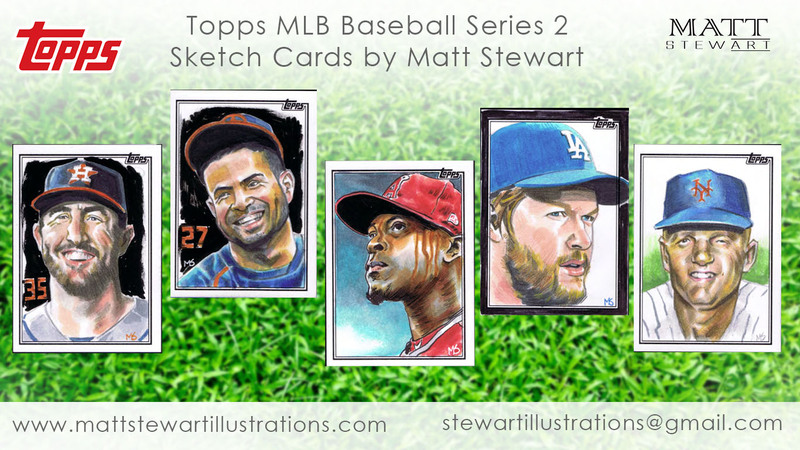 Topps Baseball 2018 series 2 sketch cards drawn by Matt Stewart. These miniature drawings were created by hand and each one is an original drawing. Examples of what I created are shown here, some that can be found in packs and some that can be bought directly form me.